Aibell Mhic Dubhlainn, is the Faerie Queen that is married to the sole male of the Faerie race, the Faerie King Dubhlainn. They live in the largest Faerie mound, the Mound of the Hollow Light. Although one glare from her will deter Dubhlainn's flirtatious nature, she actually has deep affections for him. As the Queen, Aibell handles all of Faerie race's issue as well as governing all of the Faerie mounds, while Dubhlainn's role is nothing more than a way for prolonging a Faerie's life. She has one daughter, Sleipial who will be the next Faerie Queen. 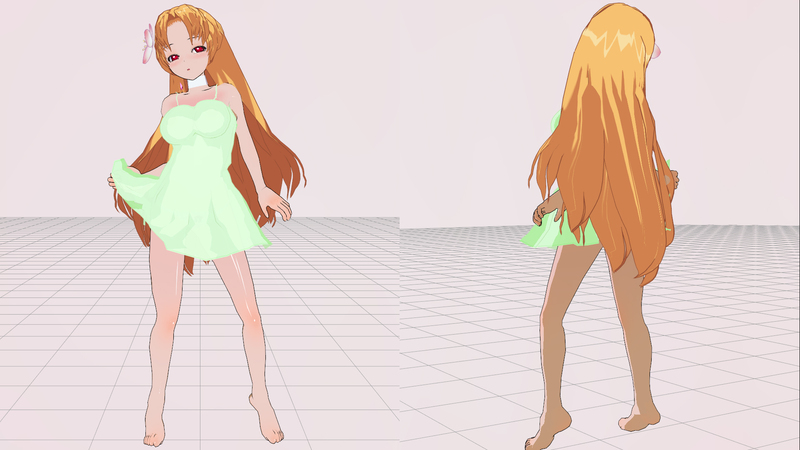 Aibell's design is a homage to Titania from Shin Megami Tensei. She is 168 cm tall and weighs 52 kg. I wanted her to have longer tied hair. 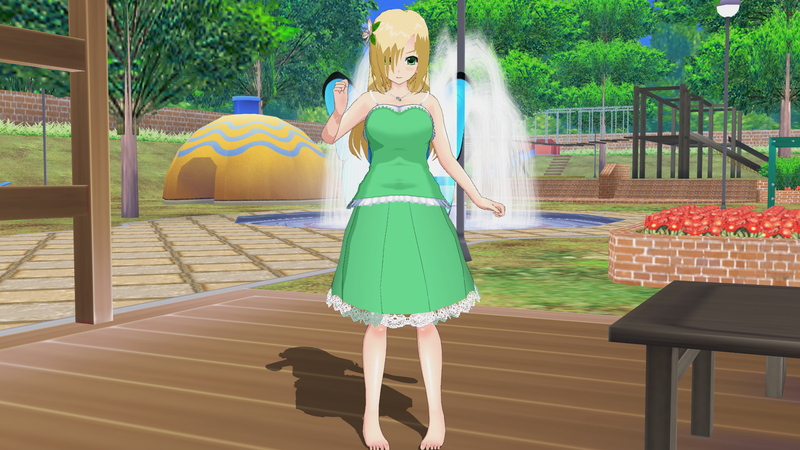 This is a ported version of her SC4 version, with the addition of the flower hairpin. 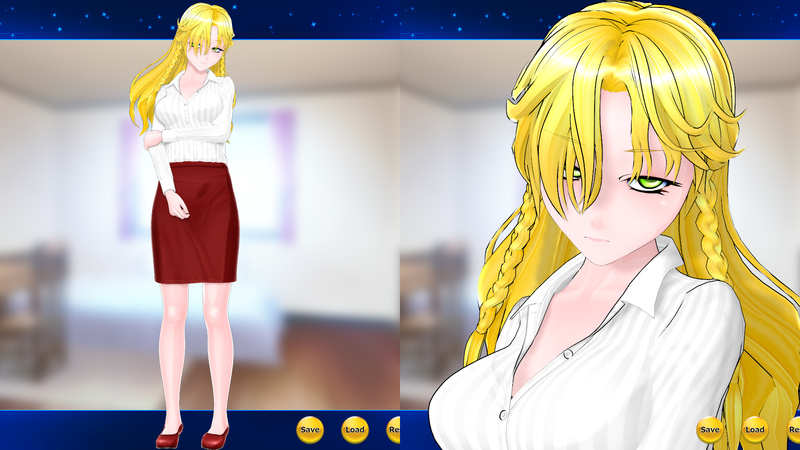 Something that bothers me, her face in SCBD looks less intimidating than her SC4 version. While it is possible to make something close to her SC4 incarnation, the drab color of Parlor Blouse screams for immediate replacement. While fooling around, I found that she looks just fine just wearing the Corset. 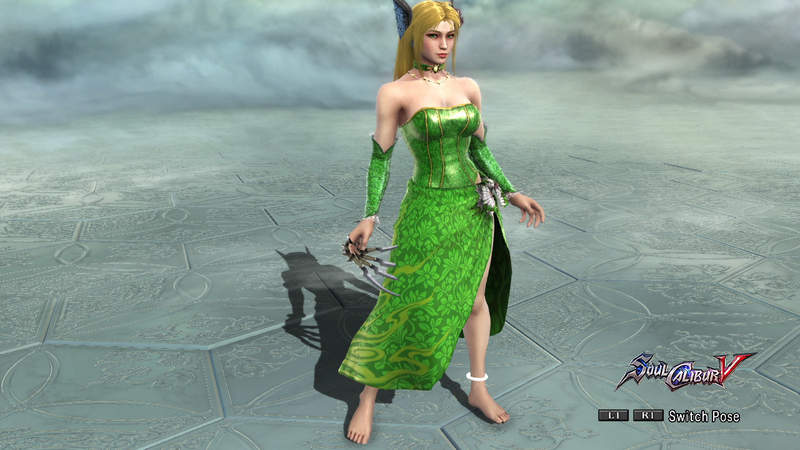 Her hairstyle was also changed because the Faerie ears illusion doesn't work with any hairstyle that shows ears. She gains her royal look thanks to the Queen set. She's supposed to move faster, but War Fan is one of the few weapon that fits a magic user. Going for a flowery theme. Due to lack of western clothing, I went ahead with a Japanese design.